You guys, there are awesome things happening this month. 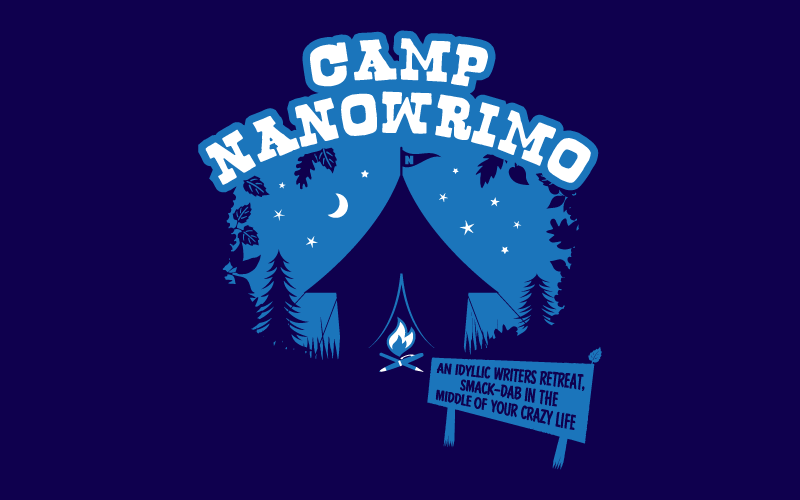 The first thing, which is perhaps the most exciting, is that Camp NaNoWriMo starts tomorrow! I actually would have had no idea that Camp NaNoWriMo even existed if I hadn’t been referenced in the blog Copywright 1985 again. I went to check out the post that had a pingback to me and saw that the author was preparing for Camp NaNoWriMo. “Holy crap!” I said aloud. For reals. So here’s my plan: I’m going to write half of deAngelis during July. The second half will be written during actual National Novel Writing Month in November. It’s a plan. A real one. In addition to me participating in Camp NaNoWriMo, I’m also trying to get some money raised for them. Go check it out and possibly donate? The second exciting thing is that I am temporarily back playing World of Warcraft. I only have BC – no Wrath or Cata here – but that’s fine, because my highest character is still only level 64. For now I’ll mostly be playing on Bladefist with some new toons so I can level with some friends, but if you want to play and/or chat with me, go ahead and friend me as kefari@gmail.com and put “spades” in the friend invite. The third thing made of excitement is that tomorrow I’m going to (try) to post some flash or short fiction, something I’ve written just for you. Isn’t that exciting, internet? Isn’t it? You guys, I’ve been slacking off, as far as posting goes. I would tell you that I have been busy – so busy – coming up with brilliant content for this blog, for you, just for you. But I haven’t. You know what I’ve been doing? ** I’ll tell you. On Sunday, when I should have been writing you a post about tropes, I was actually eating popsicles and reading Game of Thrones. Also we had a bit of a Doctor Who marathon here. On Monday, I don’t remember doing much. I washed a lot of dishes, and tried to make fried chicken and mashed potatoes. Both of these things failed, and only one of them was edible after all was said and done. Later, to make me feel better, Eric took me out for ice cream. Last night, I didn’t do much again. I did more dishes, and then we went to go see LOTR: Return of the King extended cut in theaters. Then we went to Shana and Kevins for waffles, bacon, and a viewing of Dante’s Inferno portrayed with puppets and partially voiced by Dana Snyder. YES. Mostly I’ve just been reading Game of Thrones, though. There’s something fantastic about this story. I’ve already seen the whole first season of the television show, so all of the disappointment of horrible things to come I already know, and I still love it. One of my classmates told me that he tried to like the book, but the brutality of the author ruined it for you. I don’t know if I’m allowed to refer to this friend by name here, so we’ll refer to him as Statler. 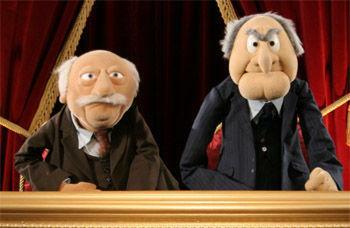 Waldorf (left) and Statler (right). I haven’t read much high or epic fantasy the last few years; I’ve stuck mainly with urban or steampunk. But there’s something so… organized about GoT that I can’t help but love it. It makes sense. I actually understand the language without trying too hard. 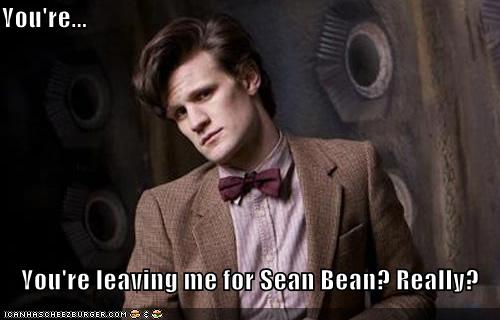 Also, Sean Bean. In other news, I have done zero writing the last week, and it is also time for me to continue reading GoT. I’ll post something worth your time tomorrow, promise, because tomorrow I have nothing else to do. *Also I have to go do a drug test for a job I might be getting, so hopefully the eggs I’m about to eat are not full of meth. ** I actually haven’t been playing Facebook games, for once. I was fully intending to write you a long, educational post full of beautiful witticisms and unmatched insight about tropes, or other crap like that, but once it hit noon I decided that today I just didn’t really care enough. To make up for the lack of brilliance, here is a picture I took for you. 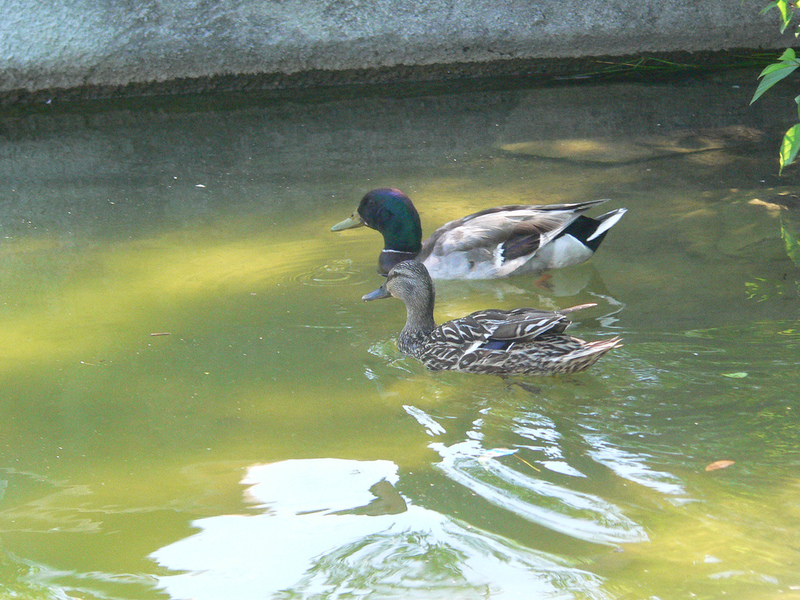 It is a picture of ducks. Tomorrow I’m probably going to talk about Game of Thrones, because Game of Thrones.